First, I need to find out what prolific- meaning producing many works or in the sense of writing having a lot to say. I guess I don’t have a lot to say but I do have some good things to say. Example- when tipping smile! A thank you doesn’t hurt anyone. A courtesy flush is necessary always! Besides those statements- I hope to say more in the future. Am I prolific? Maybe not now but in the future perhaps. With the cell phone, the world has gone craze! No longer does anyone pay attention to their neighbors as they drive. No longer is the library a safe haven of silence and study. No longer is the coffee shop a good place to meet. 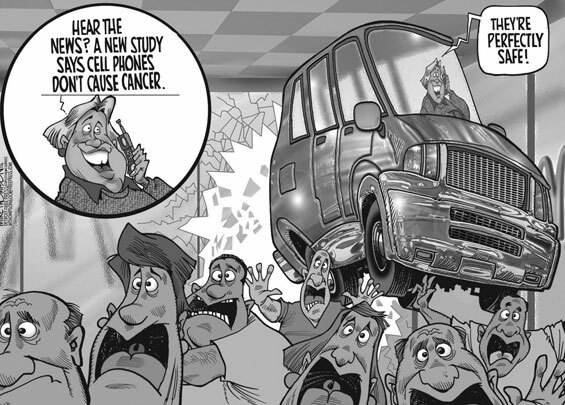 The cell phone has invaded most areas of our lives. It appears that the cell phone is our “life” line. Imagine someone leaving their cell phone home, “That would be crazy!” Why do we feel like we must have this connection? Are we so desperate for community? Do we need to know and feel like someone is calling? Are we expecting too much? Remember “Kids Crossing” sign is there for a reason! PAY ATTENTION! I am currently and about to end my directed study on Islam. Right now, I am about to start “The Truth about Islam” by Anees Zaka which I am really excited to read. This prayer is in the beginning of the book and I thought it would be a good blogpost! Don’t Lower Your Guard. Be sober and alert and aware of the warfare that is going on. It is a battle over kingdoms. Be alert and watchful ready for the enemy. Don’t Feed the Lion. Do not feed the lion with sin, deceit, disobedience and breaking the law of God. Do not stray away from the path of righteousness and obedience to the Word. Proactively fight against sin and Satan. Let Christ and Our Brother Fight Your Battles. Resist the Devil and Sin and fight the Battle knowing the outcome is found in Christ and his Victorious Throne. Have faith in this victory. Persecution is happening to all under the banner of Christ. Fellow brothers in other countries, as well as here in America, are facing fierce persecution. Stand firm in Christ and His Victory. 1. I apologize for some religious folks and perspectives that we believe and hold that somethings are not to be. 2. I hope we all can see that we have some folks HATE RELIGION, some HATE GAYS, some HATE CHRISTIANS, some HATE ROB, etc… there is no way to divide beliefs, presuppositions, ideas, religious perspectives from the individual, physical reality, practicum of living, etc.. While Elton John would want to portray himself as a 60’s type of guy, like John Lenin, he is not. HE HATES RELIGION! Therefore, this article and his opinion is only a reflection of himself. I didn’t have a pen to write my little notes but I do have some observations. First, it was great to be a church since the 2 previous Sabbaths were filled with unplanned events which needed to be dealt with. Second, it was time for communion which I needed. I hate that some in the church take communion as a joke- as only a memory of some event in the past. The lack of reverance, holiness and awe drive me up the wall. Preaching today was okay. Jakes drew upon topic of anxiety which is something all people go through. I learned and felt that I too put so much effort to work my future, make my plans and becoming to anxious of the future without trusting in our Sovereign Lord. So much effort and control in my hands and that is what I want. To have control and power over my destiny. To know the direction and the next step without any surprises. Hence, becoming an autonomous being and self-worshipped idol. Forgive my autonomy and lack of trust Lord. I put my life and future in your hands. Today was just a reminder how technology sometimes annoys the heck out of me. I am in a Panera walk into the lavatory to use the facilities and I hear a ring ring! You guess it the idiot on the toilet picks up the phone. They begin this long and detailed conversation while he is ripping TP off the cylinder. What is wrong with people? Is there any place that the cell phone is prohibited? It annoys me so much whether in the water closet or in a library trying to study or in church. People need to get back to reality and have some consideration for others as well as themselves. They need to realize that seperation is good sometimes and a break from a cell phone while on the shitter is not a bad idea. Sitting on a Toilet is a place of solace! Tip for people out there: please leave the cell phone off the next time you need to “drop the friends off”.